i just love this art vs. art comparison because each artist is working in an entirely different medium! 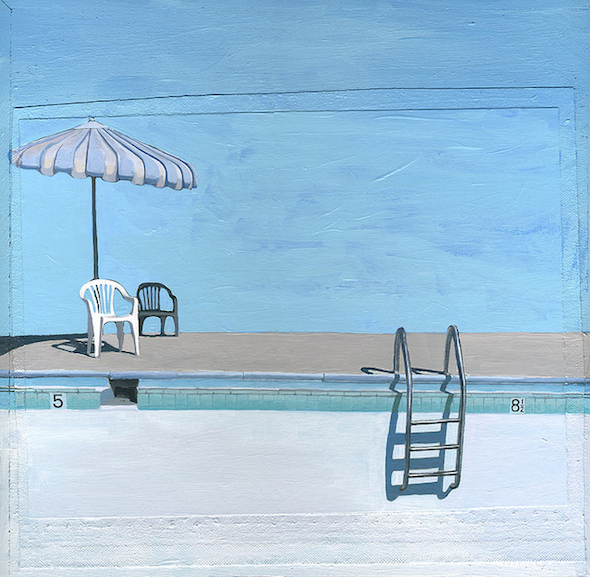 both artists portray an empty pool area, devoid of humans with an almost eerie post apocalyptic atmosphere. is is sunday? a holiday? the end of the world? 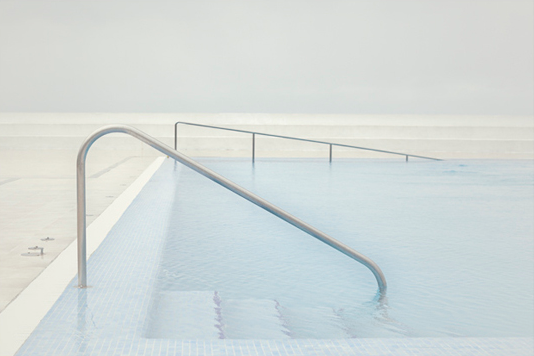 fayna attasara photographs these beautiful infinity style pools (seen on the jealous curator). 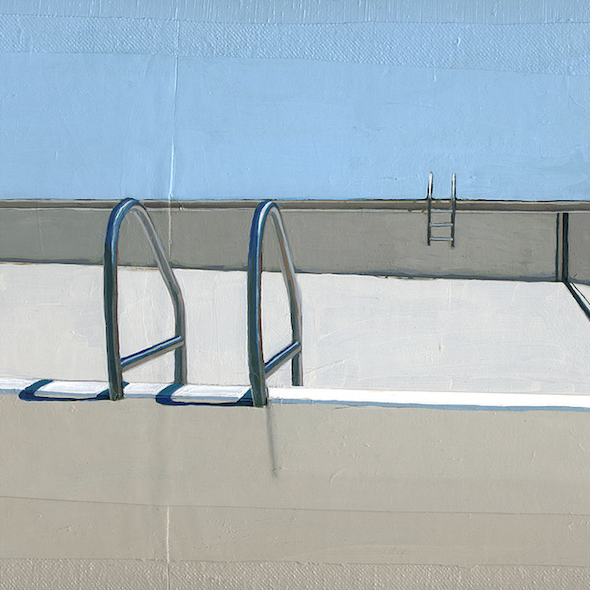 alternatively, leah giberson paints her pool scenes and what appears to be a collage like method using canvas. 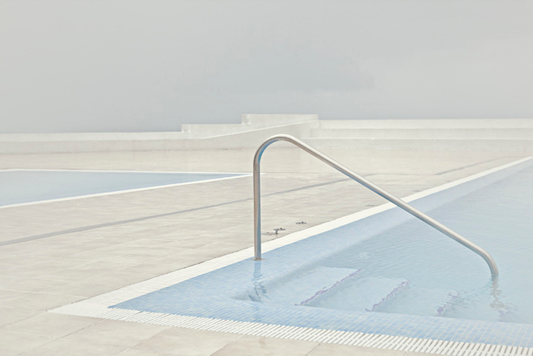 i enjoy the serenity of attasara's work, but which do you prefer and why? the paintings are my favourite, something about the colours. 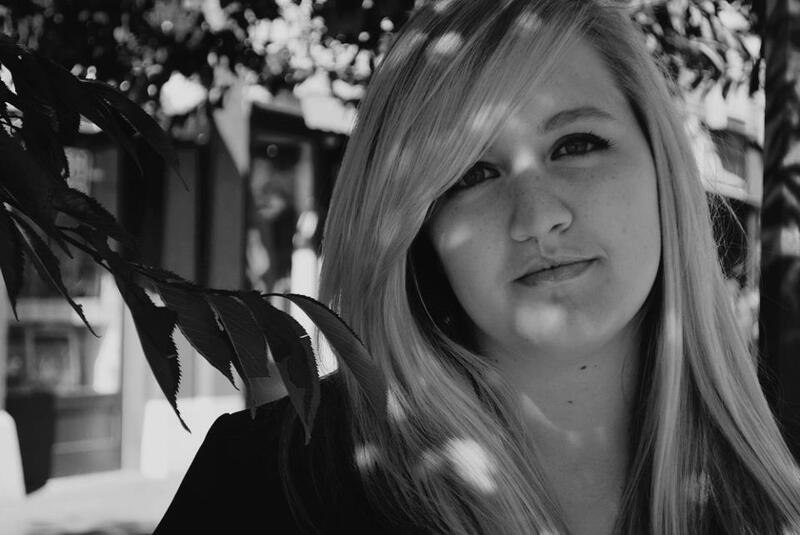 Just like the blue more, also makes me want to have summer again or go on holidays!! !